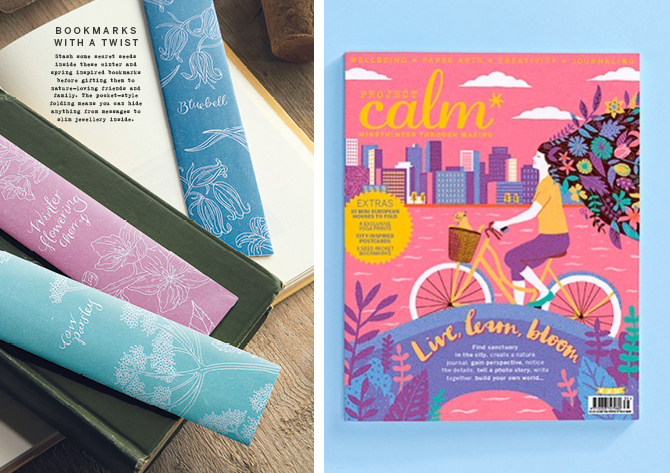 I was thrilled to be featured in the latest issue of Project Calm, a beautifully illustrated magazine promoting mindfulness through craft and creativity. 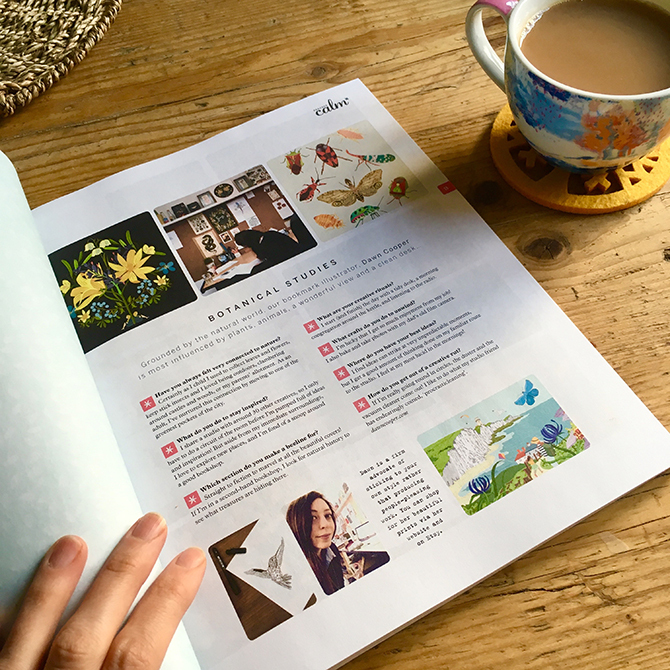 In this issue, you can cut out my seed packet bookmarks, featuring line drawings of cow parsley, bluebells and winter flowering cherry (and accompanying quotes! ), and stash whatever you like inside them. I was also very pleased to be asked a few questions about my work practice, which you can read in this little interview, where I talk about my love of bookshops, taking photographs and therapeutic desk tidying. 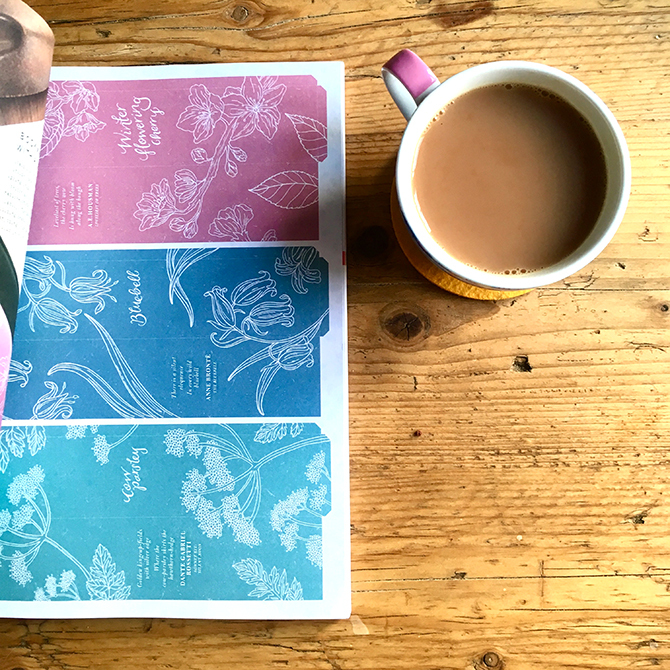 The issue also features a stunning front cover by one of my favourite illustrators, Boyoun Kim (I bought one of her beautiful screen prints for my partner’s birthday, and I happen to think she’s a bit of a wizard when it comes to colour, and creating pictures you want to climb inside of).